This full Moon in Scorpio promises us our heart’s desire, if we are ready to harvest. The Taurus Sun is at the Moon’s highest degree of exaltation: natural steps lead to a lawn of clover in bloom.KEYNOTE: The gradual expansion of the individual consciousness after a fecundating experience. Natural fulfillment. How is it that we are offered harvest at the moment of conception? This can only come with contentment with the way of the world, with the Scorpionic promise of death and rebirth. At this season of Beltaine, a fire festival of fertility, we are bound by the full Moon in Scorpio to remember Samhain, which celebrates the end and the beginning of the agricultural year. The seeds we harvested in late October are now planted and sprouted in the fertile earth. Virgo, Pluto in Capricorn and Vesta in Taurus. They give a home to the ‘fecundating experience’, mentioned in the Sabian Symbol for the Sun’s degree. They focus the energy of this moment. Jupiter in Virgo represents ‘root power’ something every plant must have to construct, stem, leaf, vine and fruit. Pluto proffers ‘political power,’ something we must each seize from the crumbling institutions around us. 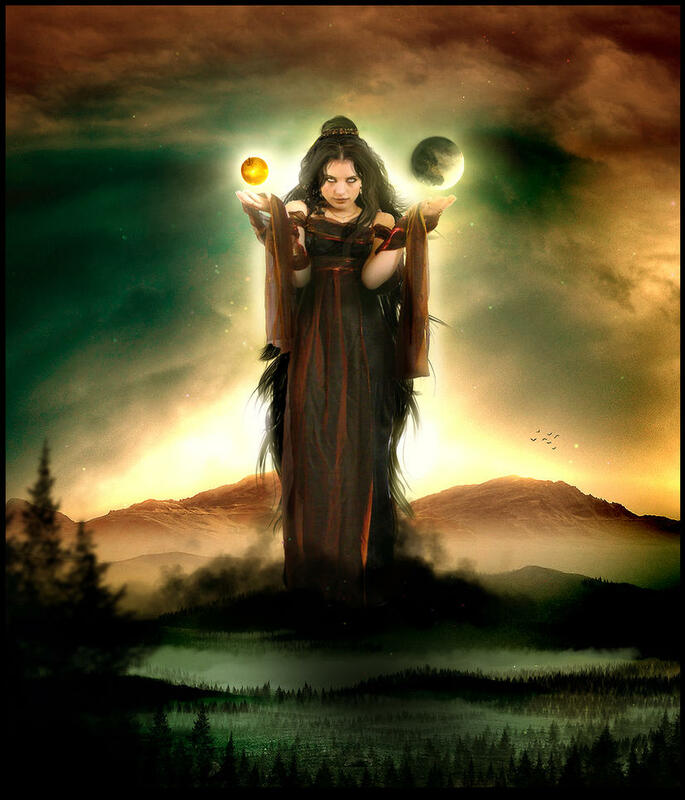 Vesta offers us ‘the awareness of spiritual forces at work, blessings.’ This is a reminder that we are never alone. The alchemists use the symbol of the triangle for each of the elements. Earth has a direct connection to spirit in this diagram. What spirit teaches us must be ‘earthed’ in order to exist. With the combination of a Taurus (Earth) Sun and a Scorpio (Water) Moon, in the signs of this full Moon, we have the formula for a garden. So says the Ace of Pentacles in the Tarot deck as well. What are you about to plant and harvest in the garden of your heart. Where do you find the voice of spirit in your life? Venus and Uranus have combined in fire (Aries) for this night of full Moon. This could spell electrical love or, the love of revolution, transformation, high vibrations, a unique art form. And since the love and beauty lady and the high tech genius also combine with Mercury and Vesta, who are only a sextile away, creativity demands some form of deep commitment and communication. like Venus from the waves. of a day of green praise. I wash my face in her light. I wash my body in her beauty. But she does not need me.